You can control access to your Xbox Live account from the Xbox 360 console by setting a pass code, or by requiring your Microsoft account password to sign in to your profile. For information about requiring your Microsoft account password to sign in, see Password protect your Xbox Live profile. NOTE This article applies to Xbox 360 only. For the Xbox One version of this article, see Require a passkey for purchases on your Xbox One console. Scroll to the right and select Account Security. On your controller, enter a four-button code by pressing X, Y, the triggers, the bumpers, and the directional pad. Enter your code again to confirm it. Now, when you sign in with your Xbox Live gamertag, you’ll be prompted to enter your Xbox Live pass code. To change or reset your pass code, repeat these steps. You’ll need to enter the original pass code before you can change it. If you forgot your Xbox Live account pass code, download your profile from Xbox Live. The Xbox 360 console and Xbox Live offer a wide array of family and online safety options for your console and Xbox Live accounts. 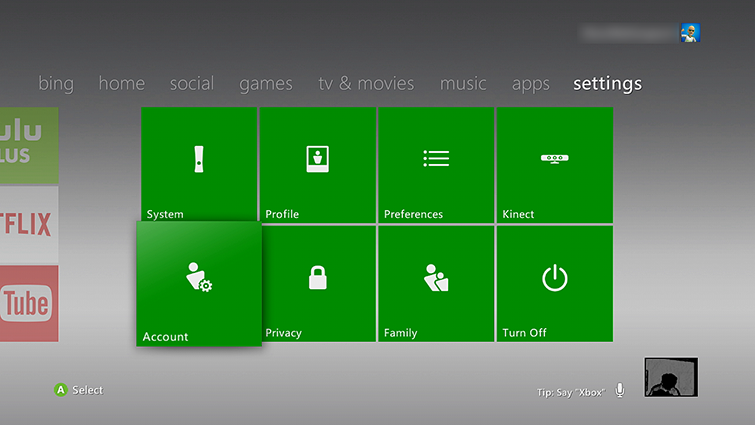 To change your online safety and privacy settings, see Xbox 360 online safety and privacy settings for child accounts. To control the console or access to Xbox Live content, see Set parental controls for Xbox 360 and Xbox Live. For information about how to change your Microsoft account password, or what to do if you can’t remember your Microsoft account password, see Manage your Microsoft account. ¿Quieres contactar con el Soporte técnico con referencia al problema "Using a pass code and controlling access to Xbox Live on your Xbox 360" acerca del que estabas leyendo o con referencia a otro problema?